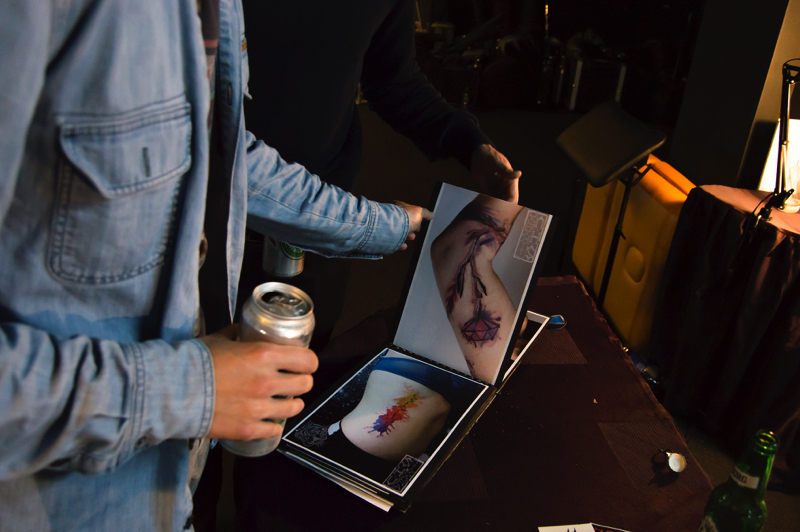 Second Day – Tattoo contest. 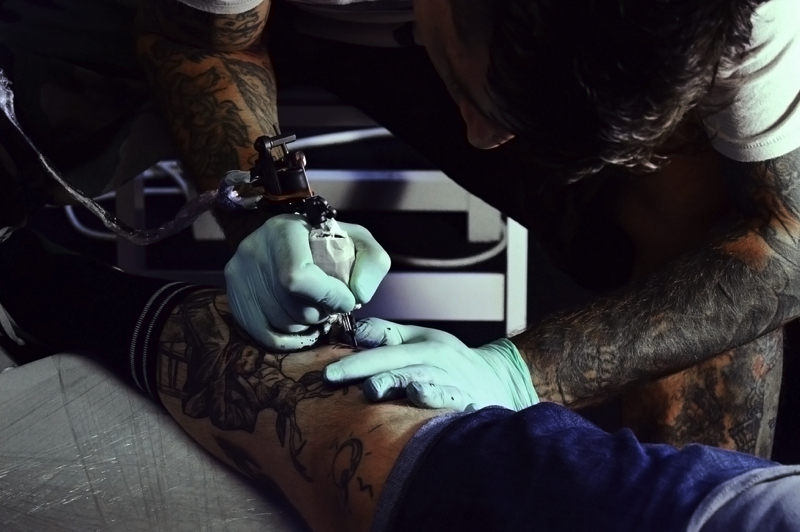 Tattoo lovers had the chance to explore and examine the art of ink on skin. 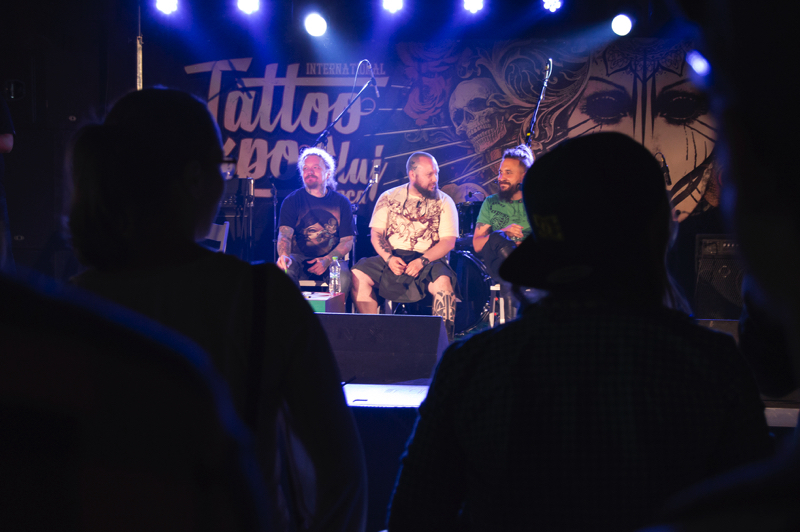 The second edition of the International Tattoo Expo has been held during the last weekend in Cluj. 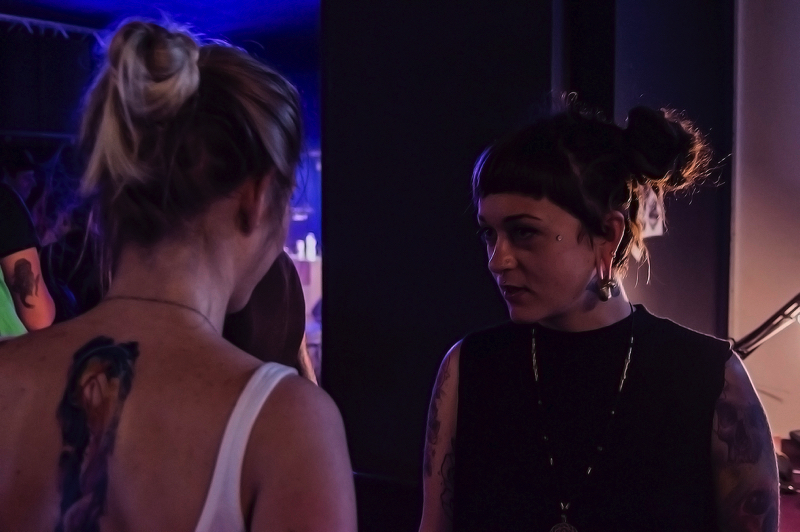 The semi-dark place, and the rock music in the background created a perfect atmosphere for the artists to create and for the people who wanted to embrace the world of tattoos. 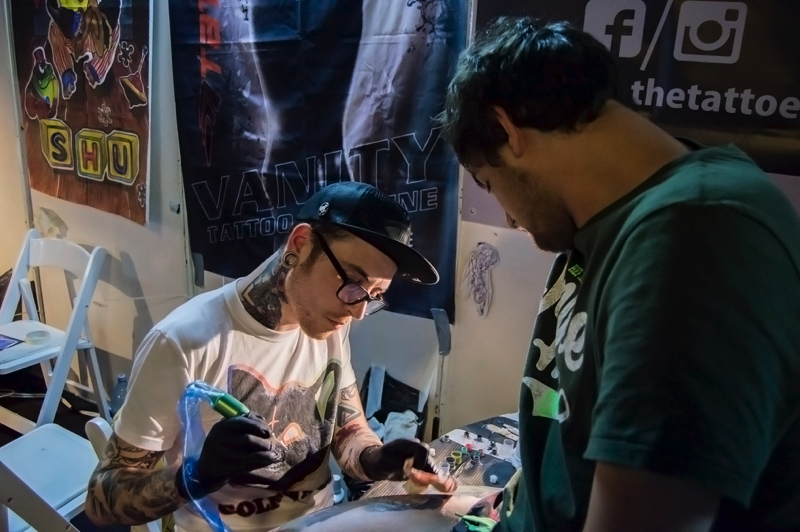 During the three days it was possible to meet more than 40 tattoo artists from Romania and also from abroad, from countries such as The Netherlands, Norway and Germany. These artists had the opportunity to present themselves within a series of contests each day. The categories awarded were: Best Of Black and Grey, Best of Color, Best of Large, Best of Show, Best of Small, Best of Day, Best of Realistic and Best of Traditional. Finished, yet not fully revealed art. People exploring ink art. II. 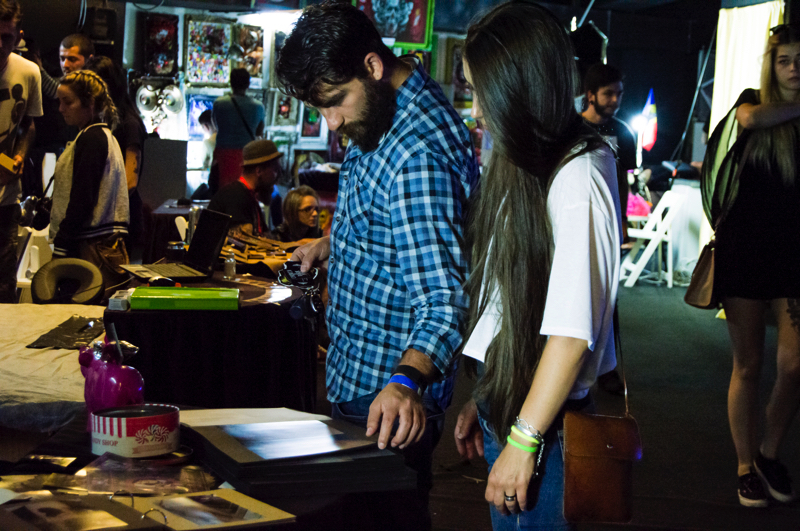 The people of Tattoo Expo. 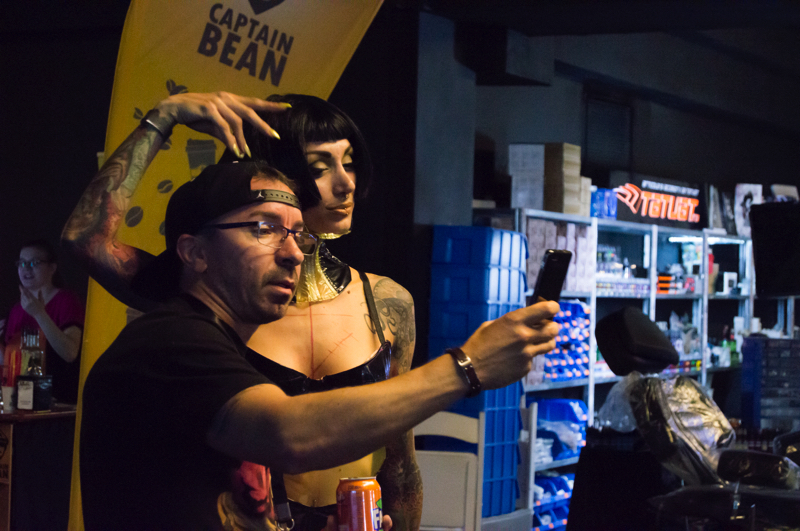 The people of Tattoo Expo. II. Presenting the artworks in front of the jury. 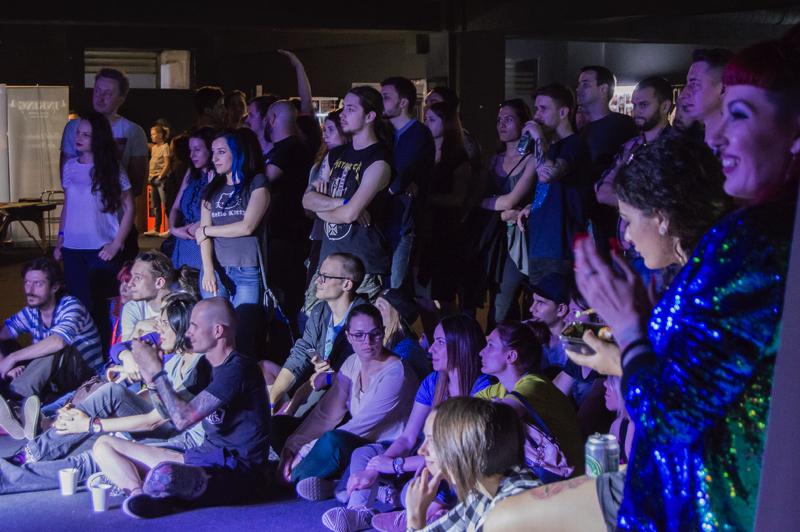 The audience of Tattoo Expo. 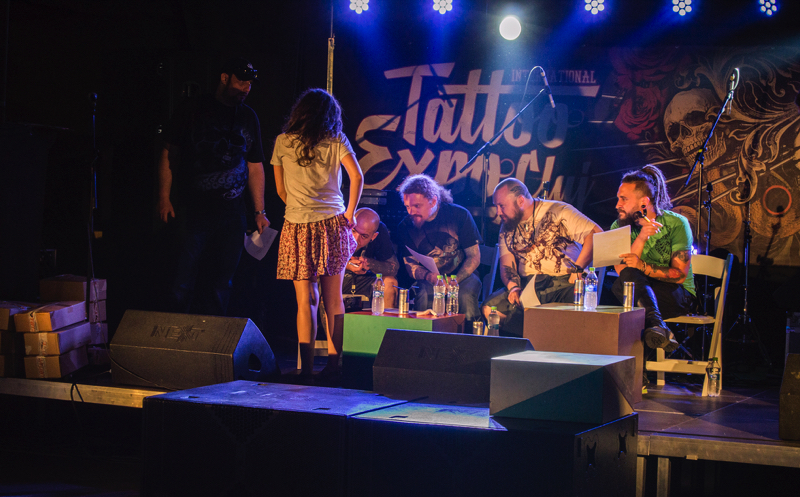 The jury of Tattoo Expo.